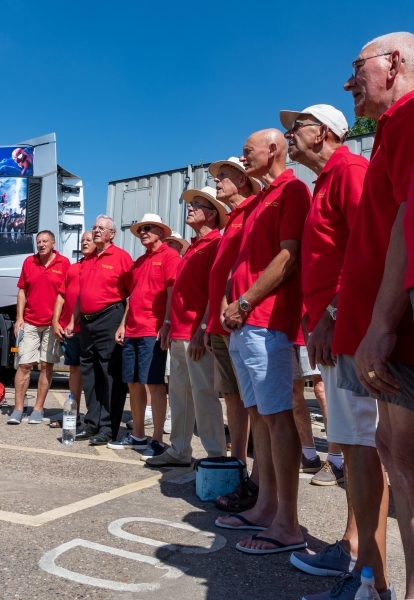 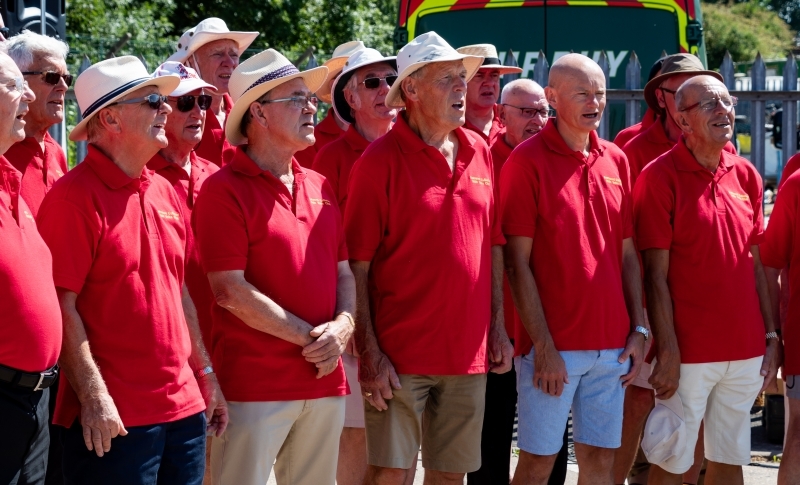 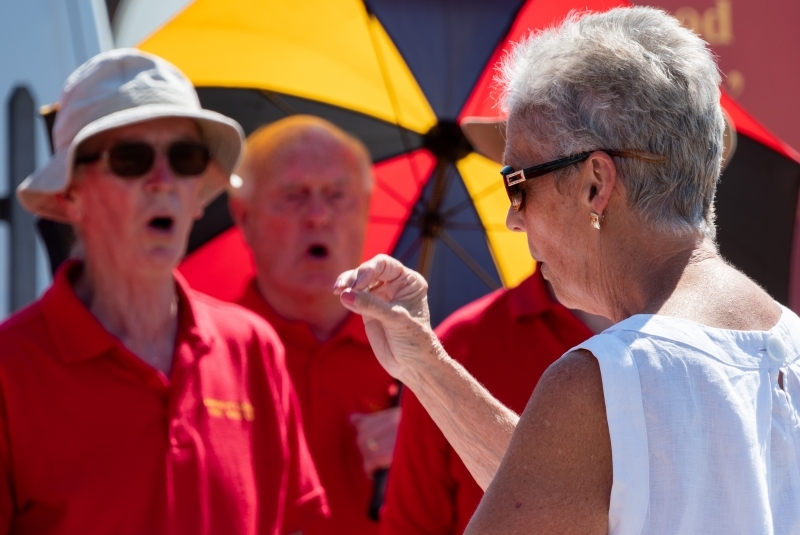 ECMVC were represented at the Cromford Road Festival on 15th July by a merry band of singers, sporting shorts, polo shirts, hats and sun cream. 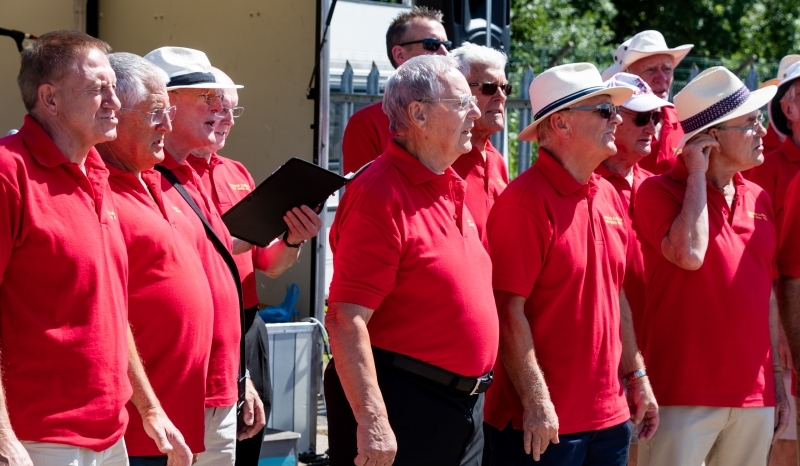 It was a blisteringly hot day but the chaps did the choir proud! 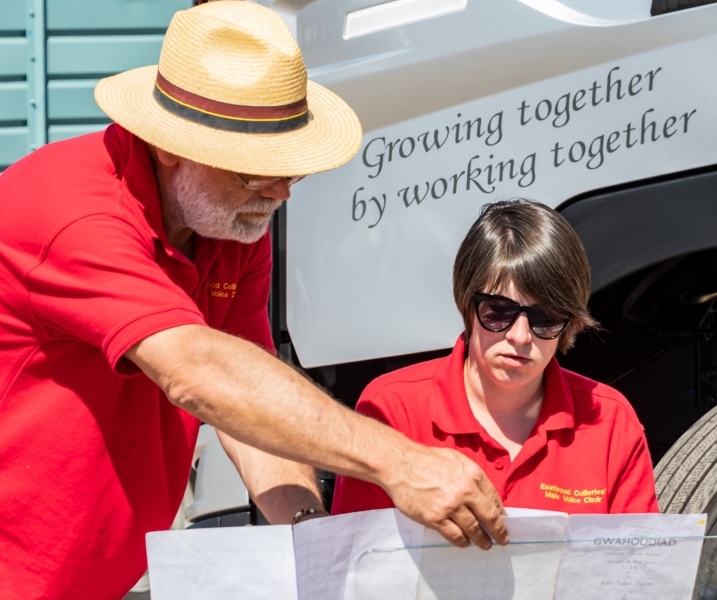 The picture of Deputy Accompanist, Rob, helping Principal Accompanist, Gemma has a very apt slogan behind them. 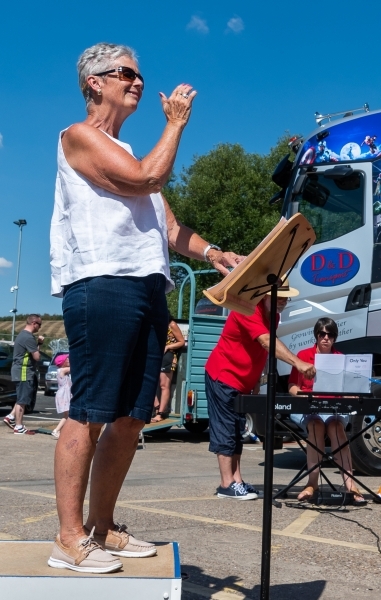 Despite the heat, there was quite a breeze and Rob stepped away from his singing duties to stabilise the music for Gemma.